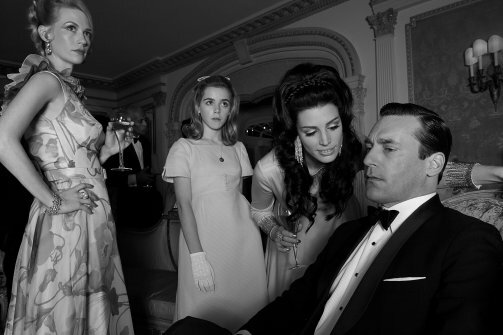 It’s Sunday and one of my favorite Sunday things returns tonight – Mad Men! 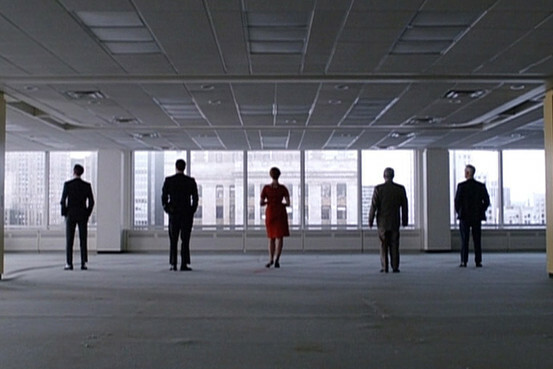 When we last saw our favorite group of ad execs, they were moving onward and upward. Landing the Jaguar account at any cost, Joan is now a voting partner and their sights are set to expand upstairs. We lost Laine and Don has yet another secret to hide. 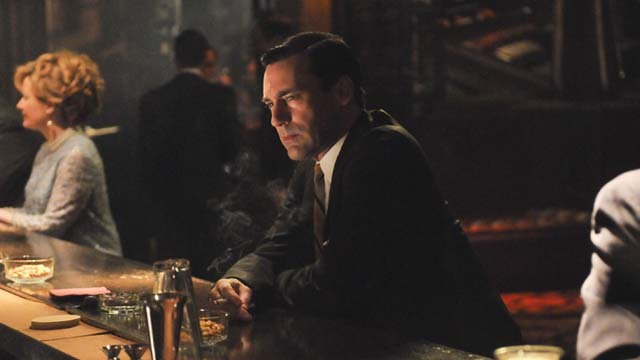 Peggy Olsen jumped ship, leaving Sterling Cooper Draper Pryce, and her mentor Don for another offer. 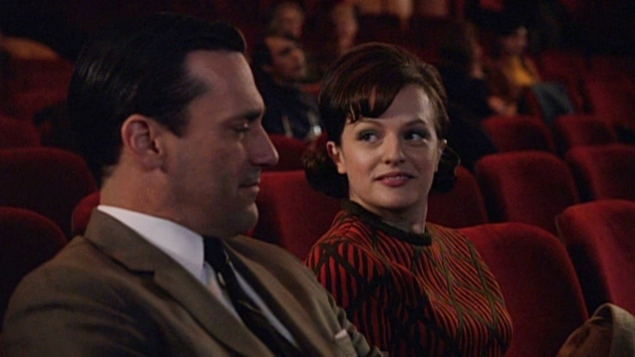 Sally Draper became a woman. Two season ago, (before I had Olivia!) we had a fun premiere party. 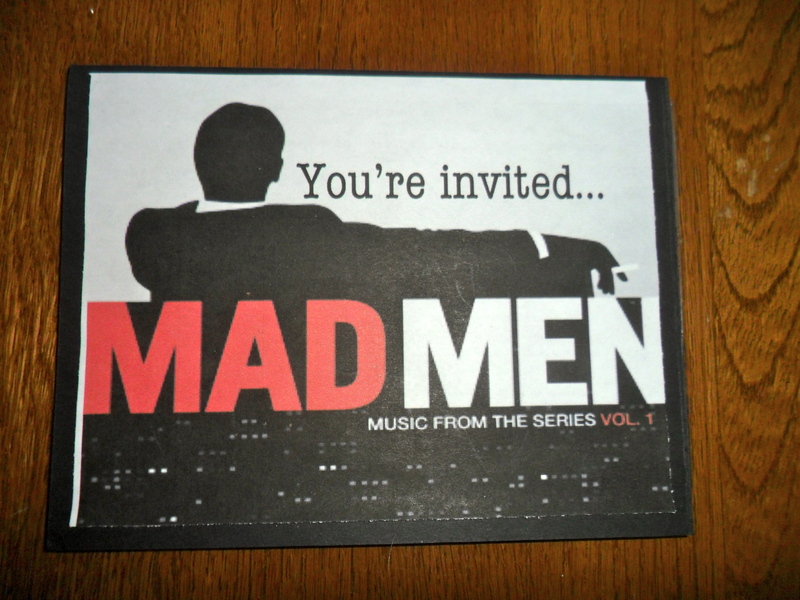 I made the invitations. 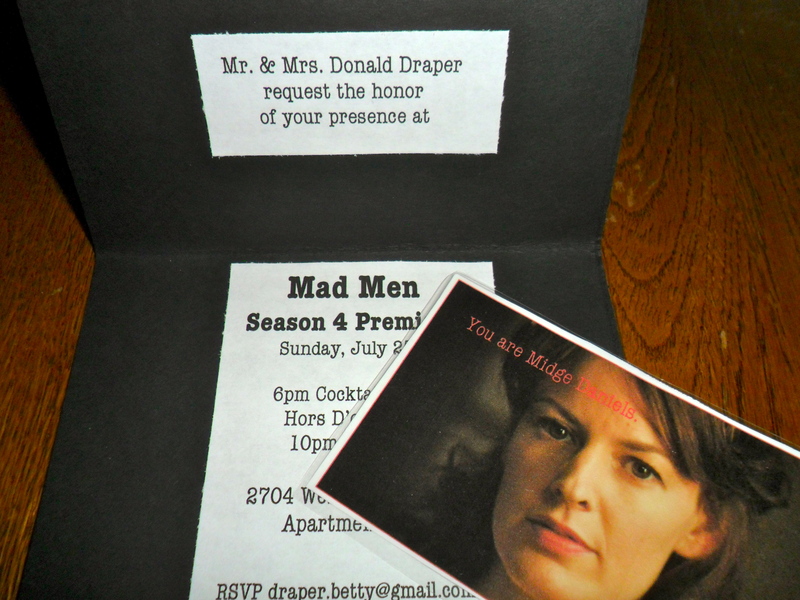 The invitation was from Mr. and Mrs. Draper. I even created Betty her own email address for RSVPs! 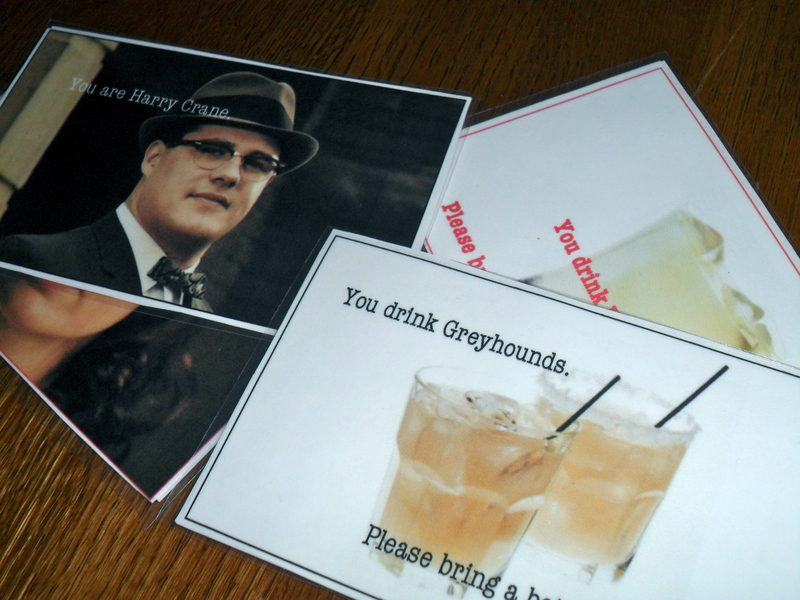 Everyone got a character card, saying who they should come to the party as. On the back of the character card it said the characters favorite drink and asked them to bring one ingredient. Everyone went all out with their costumes. I work in theater, so I expected nothing less! Tonight I will be watching in my PJs surrounded by moving boxes. Times change! Tune in tonight – the two hour season premiere airs at 9/8Cpm on AMC. Thank you for the recap! I adore this show! I love the ideas you had for the party. I would totally steal your entire idea and throw a party too but…..I don’t know anyone out here who likes the show 😦 Can’t wait for tonight!